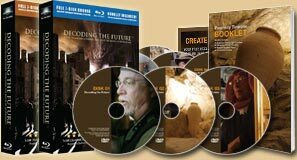 Decoding the Future: Full 7 DVD Course on Revelation **REGULAR FORMAT**- (10 Hours w/Study Guide) - Save $100.00! Several years in the making, Decoding the Future: A Life Changing Journey Through the Book of Revelation has finally arrived!!! Experience a life-changing journey like you have never experienced before! 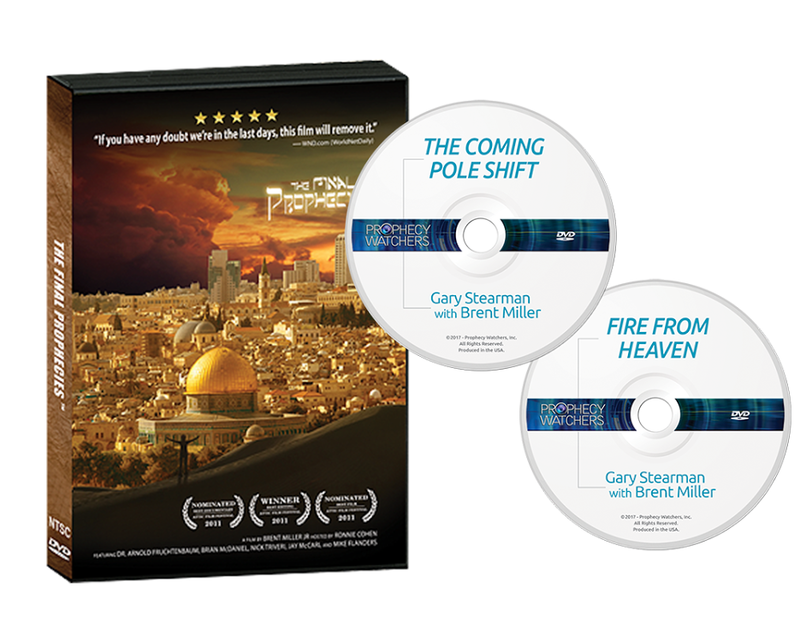 This 7-disc journey with Middle East expert, author and theologian, Jay McCarl, and our own Gary Stearman is an experience like no other. 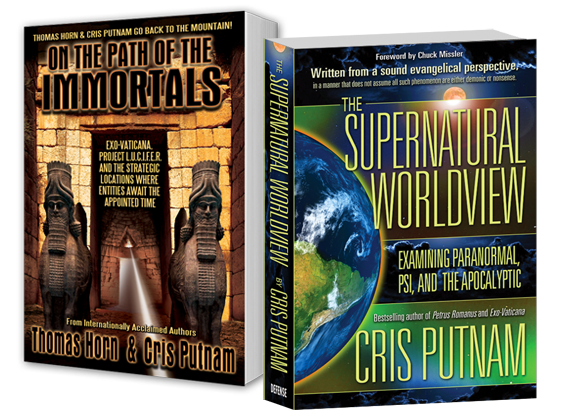 See the Book of Revelation through the eyes of ancient civilizations that existed over 2,000 years ago; the way prophecy was originally mean to be understood. 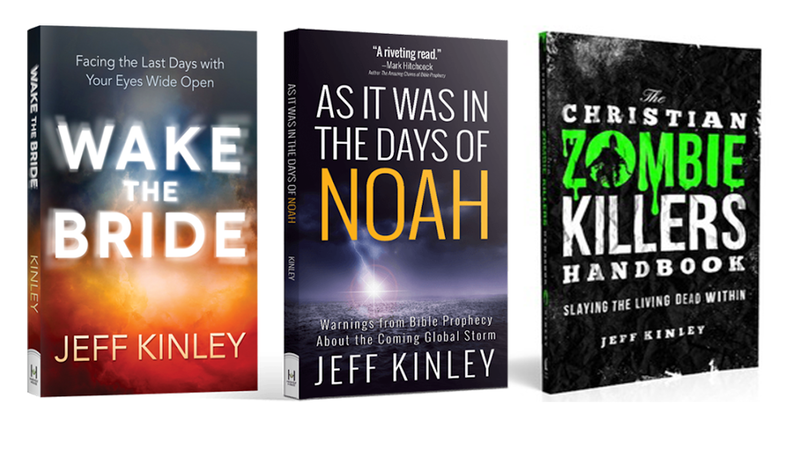 You’ll decode and experience the Book of Revelation with a new understanding that will change the way you look at our world forever. 585 minutes! Almost 10 hours of in-depth study! Gary Stearman offers his unique perspective on this futuristic book. Ingenuity Films locked Gary in studio for 7 hours and he told them everything he knew about the Book of Revelation! Wow! Other well known experts on Revelation make this perhaps the most comprehensive look ever taken of the book that Bible says brings a special blessing to those who read it and understand it. It is a teaching and learning course, profitable for both personal study and group Bible studies. What better way to get your church excited about end-times prophecy than to host a home Bible study with Jay and Gary as your hosts and teachers? This is truly practical learning of a much neglected and oft-confusing book that will soon be front and center in the eyes of the world. Jay McCarl is a Middle-Eastern Cultural Anthropologist, Theologian, Historian and author. If Mr. McCarl’s in-depth knowledge and experience within an array of fields wasn’t enough, he’s also a one of a few remaining real-world adventures with over 20 years of experience exploring ancient biblical ruins and writings. Jay has researched dozens of sites in which ancient biblical events have taken place and future ones are prophesied to occur. From traversing the underground tunnels of Jerusalem to the 2,000-year old city ruins of Turkey, Mr. McCarl’s research is one of the most thoroughly and rationally conducted in the world. Mr. McCarl’s unique insight of the culture of the people in various Middle Eastern nations has provided an incredible revelation in understanding certain aspects of prophecy that most Western-thinking theologians and professors completely miss. Jay McCarl has a Master’s Degree in biblical teaching and continually works with a vast panel of expert theologians, researchers and historians around the world. Here are the main experts on this fine effort. Gary Stearman is the host of Prophecy Watchers TV show and magazine. With over 20 years of experience in biblical history and prophecy, he is widely known in prophecy research circles. Since 1987, he began working with biblical expert, J.R. Church, and has studied Greek, French and German. Mr. Stearman is also knowledgeable in general philology, descriptive linguistics, literary history and secular philosophy. Kade Hawkins is an expert on Islamic eschatology, and is the CEO and founder of Prophecy News Watch; a news organization that specializes in biblical prophecy associated with current global events and changing political platforms. Mr. Hawkins’ news service offers FREE newsletters and daily updates on prophetic events happening each day. Mr. Hawkins was also the Director of K-House Ministries in Canada, founded by Chuck Missler. Professor Williams has an education in history as well and completed post-master’s degree work at Fuller Theological Seminary in Pasadena, California. He’s been a college professor for over 18 years; specializing in New and Old Testament Survey, Church History, World and US history, Christology, Revelation, Writings of John, History of Pentecostalism and Ancient History. As a former Fortune-500 Executive and innovator, Brent Miller Sr. has personally amassed over thirty United States patents for cutting-edge software advancements. Mr. Miller has spent over 20 years applying his vast expertise within various fields from statistical probability to Astrophysics for researching the credibility regarding biblical history and prophecy. Professor Howard has degrees in both Psychology (California State University, S.F.) and Ministerial Studies (Trinity School of the Bible), as well as a Master’s degree in Theology from the Fuller Theological Seminary. He was the Vice President and a professor at the Capital Bible College for over 30 years and has taught courses on Systematic Theology and Bible Prophecy. Professor Ken Bluemel is a Dean at Epic Bible College in Sacramento, California and for over 25 years, has taught courses on Pauline theology, New Testament doctrine, apologetics, and Bible prophecy. Professor Bluemel has vast knowledge in multiple aspects of biblical teaching, interpretation and prophecy and therefore, is a highly sought after speaker for international prophecy conferences in the US, Canada, Philippines, and China. The Ruins of Ephesus, The Ruins of Smyrna, The Ruins of Pergamum, The Ruins of Thyatira, The Ruins of Sardis, The Ruins of Philadelphia, The Ruins of Laodecia, The Ruins of Masada, The Valley of Armageddon, The Sea of Galilee, Underground Jeruslem Excavations and much, much more. Who doesn’t want to see the places where Jesus walked and where the Apostle Paul wrote so many of his epistles? Also available on Blu-Ray disc for the same price in the online bookstore. 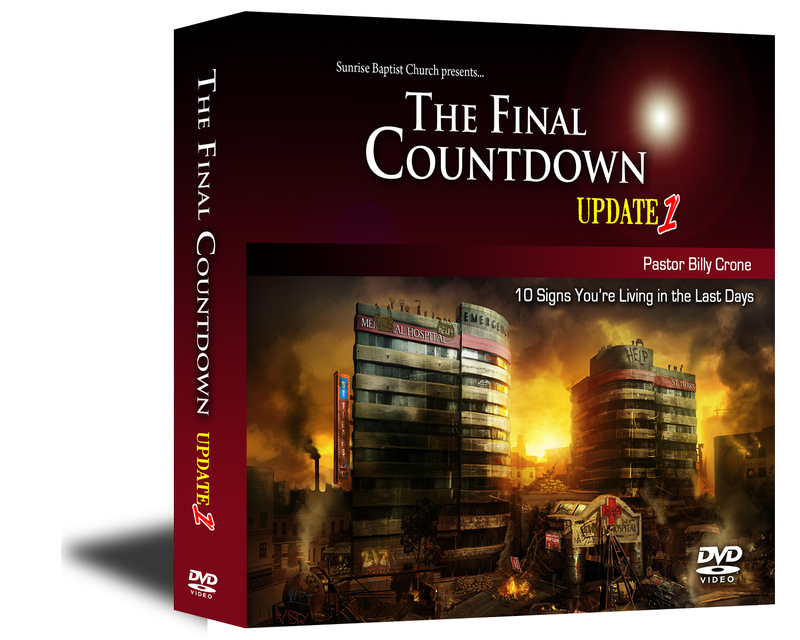 Frightening recent events leading to prophetic fulfillment have begun! The validity of Bible prophecy has been debated for centuries and is one of the most controversial subjects in theological circles today. Join host and historian Ronnie Cohen, and Dr. Arnold Fruchtenbaum, as they embark on an epic journey that uncovers the secrets woven through the prophecies of the Bible. The shocking statistical evidence suggests that past fulfillment of scriptural prophecies are more then mere chance. Astonishing new research reveals that prophetic events foretelling future devastating political, financial and environmental change on a global scale, may be closer and more real than you think. 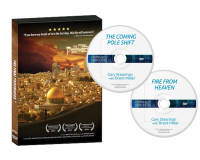 Shot at ground level in Jerusalem, The Final Prophecies will take you places you’ve never seen before, even if you’ve been to Israel! From the Wailing Wall in Jerusalem, to ancient archaeological discoveries, even to the actual crossing site of the Exodus through the Red Sea! You’ll be there; you’ll gain perspective that you never imagined! Many of these places are off-limits to tourists! This 80-minute cinematic masterpiece will literally take your breath away! And it could be the best prophetic witnessing tool we’ve ever encountered. Many people are buying 5-10 copies to give to family and friends. This is not a “preachy” presentation. 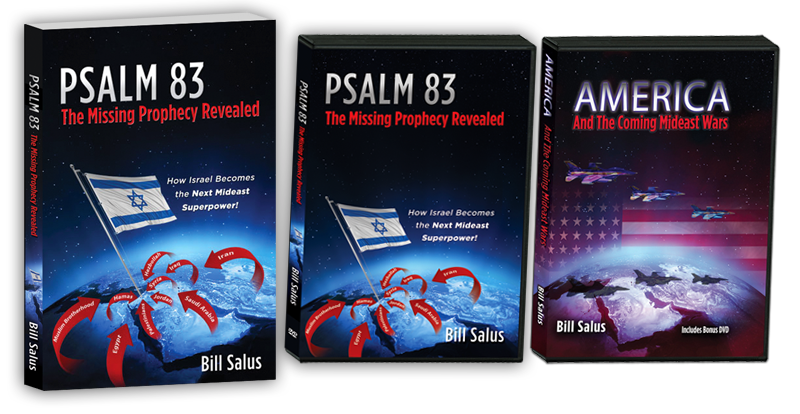 It simply lays out the startling prophetic events and facts in a way that makes the viewer come to the stark realization that the Bible can be trusted because it’s Author knows the future!